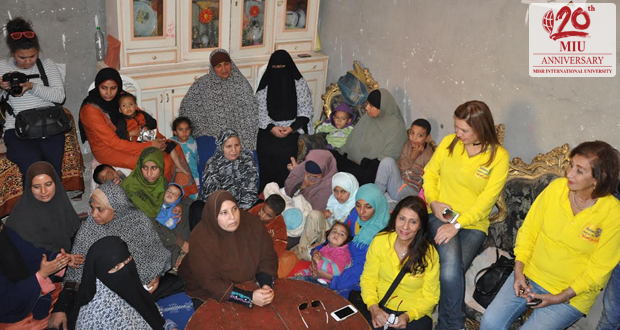 MIU Mass Communication students went on a community service field trip to Fayoum on November 30, 2016. The Photojournalism students accompanied the Qafelet El Khair Association which is organized by Vodafone in cooperation with the Rotary club. The field trip began with a visit to Dimishkin Primary School and an observation of the school’s act ivies, included the presence of an audio convoy which was conducting tests on student hearing. 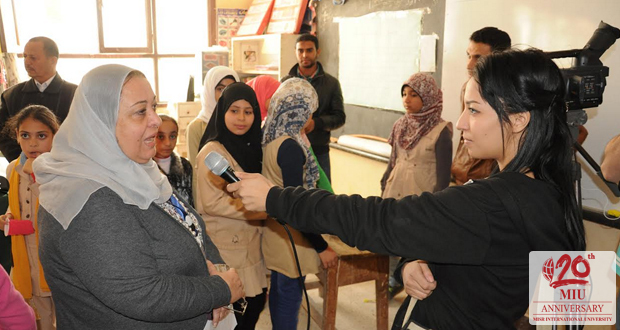 The students then moved to El Shaheed Abdel Azim Primary School where the Well Spring group conducted a variety of entertainment activities with the students. The tour also included a visit to rural ranches to see vocational training, including handcraft workshops, and illiteracy classes. The trip concluded with a visit to the Road to Development Association to observe its community service activities.